For the thousands of people who line the banks of the Thames, and the bridges which span it, on New Year’s Eve, the Shell Tower is a familiar sight. As the year ticks away the 107m-tall tower, forming the backdrop to the London Eye, is illuminated and the remaining seconds of the old year are projected on to the Portland stone in sync with Big Ben’s chimes. The 27-storey Shell Tower has been a landmark building on the South Bank since it was built by Sir Robert McAlpine in 1962. The first London office development to exceed the height of the Palace of Westminster, the tower was the largest office building, by floor space, in Europe. It was the centrepiece for the original Shell Centre that included three now-demolished adjoining nine-storey wings, known as the Upstream Building, and a separate building known as the Downstream building, which has since been sold off and converted into apartments known as the White House. 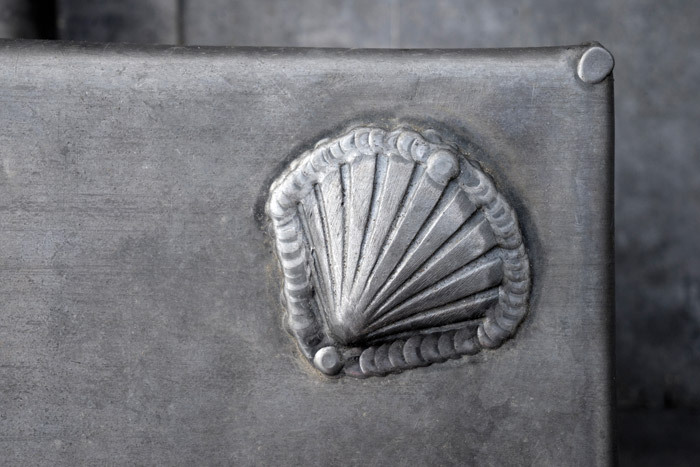 Shell Centre’s facilities were luxurious by the standards of the day with a full-size swimming pool, gym, rifle range, snooker room, theatre, and a supermarket for staff together with a basement smoking room when smoking at desks stopped being de rigeur in the Nineties. But over the years the building had become tired and dated, although the Portland Stone cladding, which was regarded as dull at the time, has weathered well in comparison with their concrete or aggregate peers. The surrounding public area has also become tired, and in 2011 Shell announced a JV with Canary Wharf Group and Qatari Diar to buy a 999-year lease on the Shell Centre for £300m and redevelop the entire site. Under the development, known as Southbank Place, the tower will be left in place as the centrepiece but the rest of the site replaced by 75,000 sq m of office space (including the tower), 7,500 sq m retail units, restaurants and cafes and 75,000 sq m of residential space incorporating up to 790 new homes, including affordable housing. The development will complete late next year. It will upgrade an area of London much in need of improvement but it will also transform the workplace experience for Shell staff. From being dotted in several locations around London, including Bank Street in Canary Wharf and The Strand, staff will all be based on the site, either in the tower or in 20 York Road, which connects to the tower with a glass walkway, where Shell will have 22,750 sq m of space for its trading floors and other offices. Approximately 23,225 sq m of space in the tower is being transformed in a phased approach – floor by floor – while Shell’s UK business continues to operate from within the tower – something which John Baker, MD of major projects at Overbury, describes as ‘having its own challenges’. The project involves renovation and upgrading of the existing office floors including basement works, restaurant, cafe, business centre, gym, reception and roof repairs. The original windows are being replaced by Overbury with a style to allow for easier cleaning of the external-facing panes. Working alongside architecture practice Perkins+Will and engineering firm AECOM, Overbury is delivering the project floor over three years. With just less than a year to go until completion, Shell Tower is very much a tale of two cities. The best of times in the newly refurbished floors (levels 10-23) and, if not the worst of times in the remaining floors, then certainly a darker, more traditional (and noisier) experience. Acoustics, especially in the meeting rooms, has been an ongoing issue for the tower’s occupants. 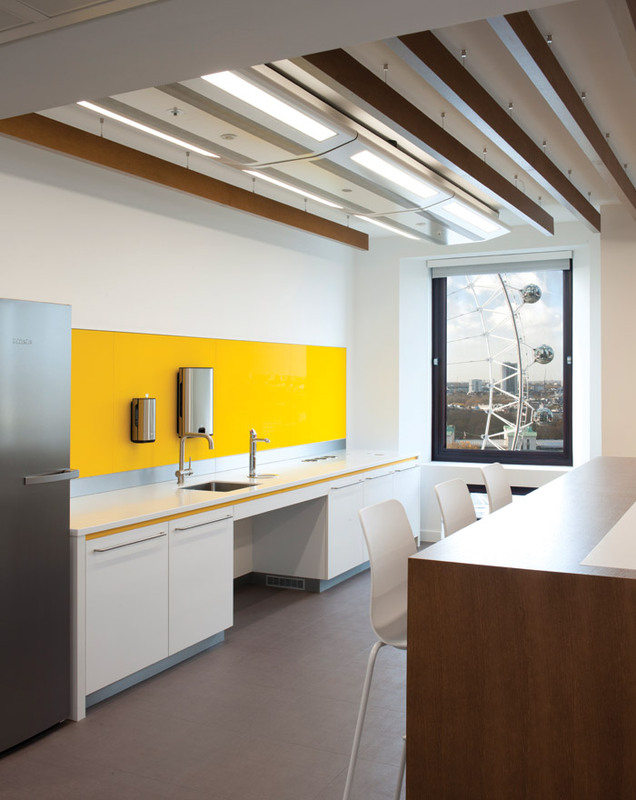 The project is designed not just to create a fresher environment for Shell’s staff in the centre, but also to create a new way of working in a campus-style environment which ‘instils pride, encourages collaboration and enables us to perform at our best,’ explains Anita Isaac, Shell’s London accommodation project analyst. Part of this transformation is a move to non-allocated desking (what Shell calls a dynamic desk-sharing policy) for around 80 per cent of staff with an average 1:1.4 ratio throughout the building, depending on the department. This is largely in response to research which showed that 48 per cent of Shell employees work flexibly – in off-site meetings, from home, travel on business or have meetings away from their desk throughout the day. Our desksharing ratio varies throughout the floors to ensure that we are supporting our businesses as well as utilising the office space to its highest capacity to allow for formal and informal meeting spaces,’ explains Isaac. Under this policy each business unit has an allocated space to act as base to gravitate to, although everyone is welcome to use the entire building. One of the biggest changes is the introduction of activity-based working – a range of working environments to support people in whatever task they are doing. 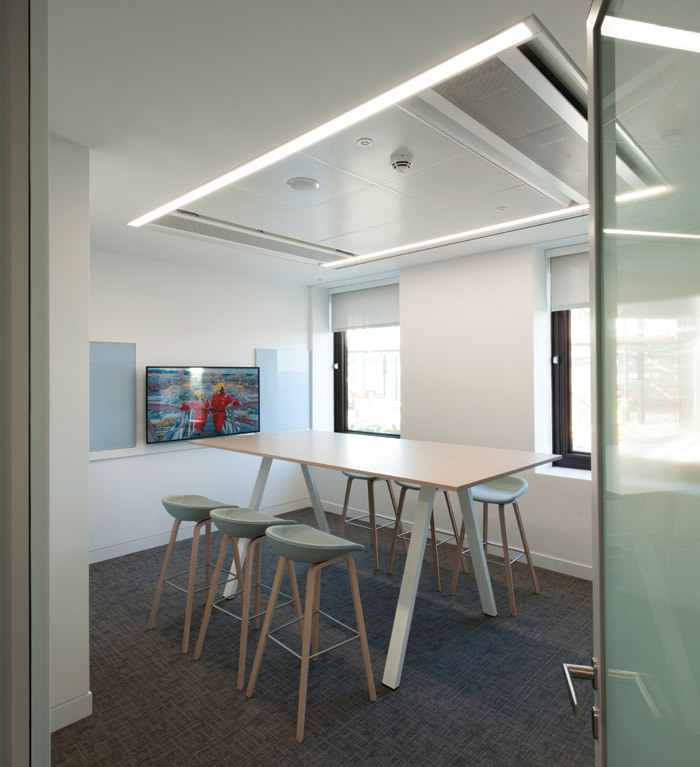 From a largely one-person, one-desk policy with limited numbers of meeting rooms, staff on the refurbished floors can choose from numerous break-out areas, pods, informal collaboration spaces, kitchen areas, phone booths and a range of sound-proofed meeting rooms of various sizes. Another big change is the introduction of scrum spaces, areas for project teams to get together for a week or a month to run a project, says Simon Bone, associate principal at Perkins+Will. With a company with such a strong brand as Shell (who can’t fail to recognise the iconic yellow and red shell logo), it’s surprising that the previous tower had so little company branding. The new floors, however, are a visible manifestation of the company’s brand. The business units on each floor were tasked with selecting a range of graphics which reflect what they do, the messages they want to express and what they’re working on at the moment. These are displayed on magnetic-based vinyl wall coverings, which can be easily replaced, and banners on the perimeter of each floor plate, which the facilities management team can replace. Even the cafe on Level 10 will be branded with Shell’s retail theme Deli by Shell that is used in the road retail facilities, to reinforce the company’s core business. This is very much a Shell building. But it’s also very much the Shell employees’ building. The company took the decision to conduct a Leesman survey, the world’s largest benchmark of workplace effectiveness, while the project was in its early stages. 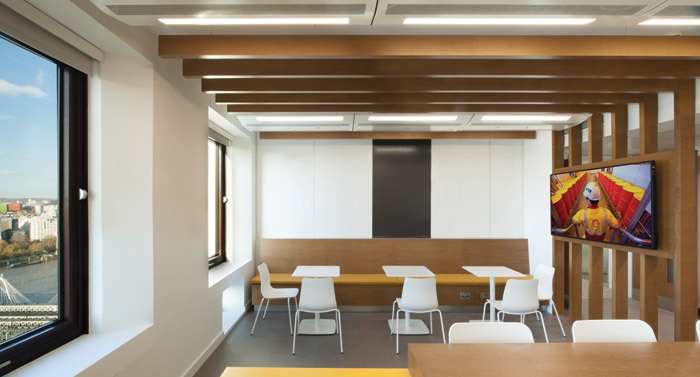 Staff responded with a number of areas they wanted changing, particularly the acoustics and the variety of space on offer including more collaboration spaces and project areas. Another post-occupancy Leesman survey will be conducted once the project is finished to gauge its success. As part of the refurbishment, the Portland stone facade is being properly cleaned for the first time, which will mean when the newly refurbished building is illuminated on New Year’s Eve 2019, Shell’s Tower will be displayed in all its former glory.